Wally’s Flower Wagon is a reliable local provider of septic and holding tank pumping, catch basin cleaning, sand pumping, and commercial septic pumping services. We can accommodate both large scale industrial pumping & disposal jobs, and smaller residential septic system pump outs. When it comes to disposal, we only employ methods that have a direct positive impact on the environment. Modern equipment is used by our staff to provide soil enrichment programs on local farm fields. As a septic services company, we are committed to meeting Ministry of the Environment expectations for Ontario. Did you know: a septic tank should be pumped every three years for a family of 2-4? If there are frequent parties or renters, the amount of time between pumps decreases. Home and cottage owners make up a large percentage of our business. It’s our experience, attention to detail, and wide-spreading knowledge on septic system care that ensures our clients become repeat customers. Educating and helping home and cottage owners understand their septic system is all part of the job for us. With high powered vacuum units and decades of experience, Wally’s Flower Wagon welcomes business on commercial properties. Holding tank contracts are invited! 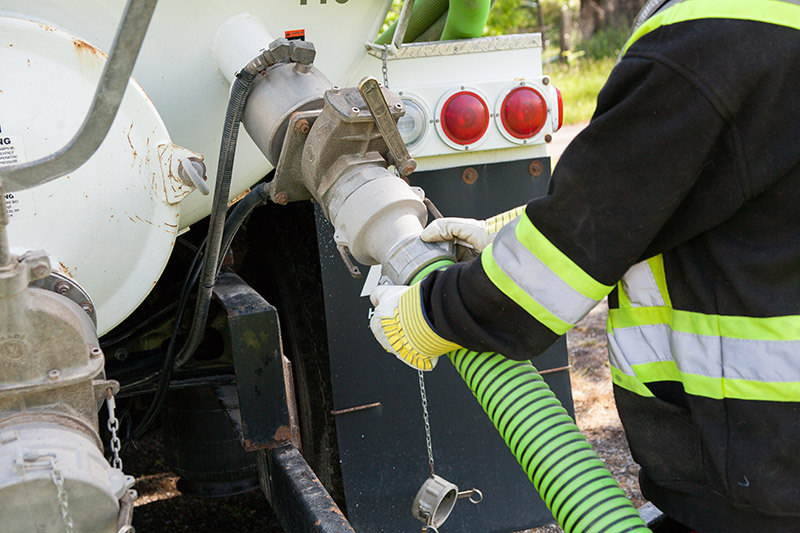 We can accommodate a wide range of septic pumping, cleaning, and sand pumping needs for gas station holding tanks, car/EMS/fire hall catch basins, large trailer park resorts, and more. Year-round septic & holding tank pumping services, tank inspections, and cleaning. Proudly serving residential, cottage, and commercial clients across the Peterborough area.